"Our research provides compelling evidence that smart investments in technology, process, and culture drive profit, quality, and customer outcomes that are important for organizations to stay competitive and relevant -- both today and as we look to the future," said Dr. Nicole Forsgren, co-founder and CEO of DevOps Research and Assessment (DORA), referring to the organization's latest report Accelerate: State of DevOps 2018: Strategies for a New Economy, a survey of nearly 1,900 technical professionals worldwide, conducted in collaboration with Google Cloud. "A stunning finding in the data this year is the compelling case of doing cloud right," Dr. Forsgren continued. "Adopting essential cloud characteristics drives high performance and differentiates the highest performers from those who may say they are in the cloud, but are unable to realize performance gains because their technology and processes aren't executed correctly." Software delivery and availability unlocks competitive advantages, including increased profitability, productivity, market share, customer satisfaction, and the ability to achieve organization goals. The cloud improves software delivery performance but teams that leverage all of cloud computing's essential characteristics are 23 times more likely to be high performers. Open source software is 1.75 times more likely to be extensively used by the highest performers, who are also 1.5 times more likely to expand open source usage in future. Key technical practices drive high performance. These key technical practices include monitoring and observability, continuous testing, database change management, and integrating security earlier in the software development process. 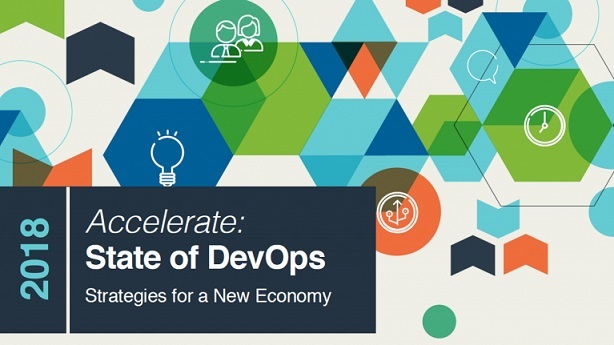 Industry doesn't matter when it comes to achieving high performance for software delivery. The report finds high performers in both non-regulated and highly regulated industries alike.